Setia Alam has a number of interesting eateries thanks to its affluent neighborhood. 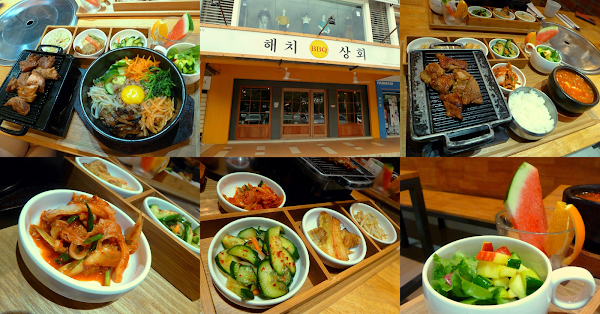 One restaurant which opened here recently is Haechi Korean BBQ & Taste (해치상회). This Korean barbecue (고기구이) restaurant is operated by ethnic Koreans, a fact which naturally raises my expectations for this restaurant. In Korean mythology, haechi (해치) is a creature that resembles a lion covered in scales and a horn on its forehead. Also known as "haetae" or "haitai", this legendary creature is considered auspicious and is believed to protect the city of Hanyang (한양, modern-day Seoul) from natural disasters. Speaking of Korean cuisine, bansang (반상) is a meal which contains several "banchan" (반찬, side dishes). There are different names depending on number of banchan, which can range from 3 (for simple meals) to 12 (for royalty). Haechi usually serves 3 side dishes, which makes the meal "3 cheop" (삼첩). Today's banchan are blanched bean sprouts (콩나물), spicy cucumber (오이무침) and pancake (전). Our first order is Pork Ribs With Soup Set (돼지갈비찌개반상). Pork ribs (돼지갈비) are kept sizzling hot on a hot iron plate. As the pork has been marinated thoroughly, it is juicy and tasty overall. It is great that the pork ribs consist mostly of lean meat. There are several types of jjigae (찌개, Korean stew) to choose from. We opted for kimchi jjigae (김치찌개, RM28.00), which is one of the most common types of jjigae in Korea. Stewed with kimchi (김치, fermented napa cabbage) and gochujang (고추장, red chili paste), the sour-spicy soup also contains tofu, onions and scallion. A bowl of steamed rice is provided to go with kimchi jjigae. There is also a small serving of kimchi on the side. Authentic kimchi has generally sharper taste than what most locals are used to. But as the saying goes, "When in Seoul, do as the Koreans do." We also ordered the Bibimbap With Meat Ribs (비빔밥갈비반상). Bibimbap (비빔밥) is a rice dish topped with minced pork, shiitake mushrooms, Joseon radish (조선무), carrot strips, spinach, cucumber, bean sprouts and egg. Served on a hot stone bowl, bibimbap ingredients are mixed thoroughly before consumption. This allows the ingredients (especially egg) to be cooked against the inner walls of the bowl. As for sizzling meat, our choice is pork ribs (RM30.00). Each set meal comes with vegetable salad and fruits. I am particularly fascinated by the fruity sweetness of the salad. There is something about its mango dressing which makes the salad so soothing to my palate. 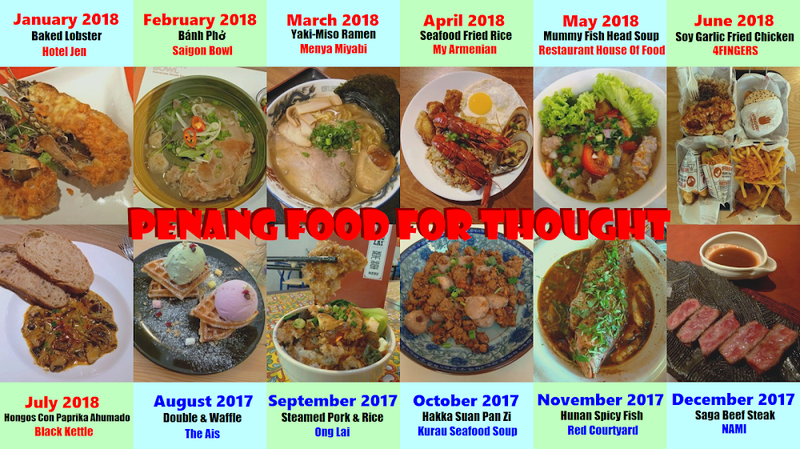 According to the owner of Haechi, this is his second restaurant after the original one in Kota Kemuning. It is always a pleasure to savor the taste of authentic Korean cuisine. And when ethnic Koreans take the helm, you know that you are in the right hands.